Forget What Did: Sadly 'Arthur's Egyptology Lecture (Dustbuster)' didn't make the cut. Sadly 'Arthur's Egyptology Lecture (Dustbuster)' didn't make the cut. 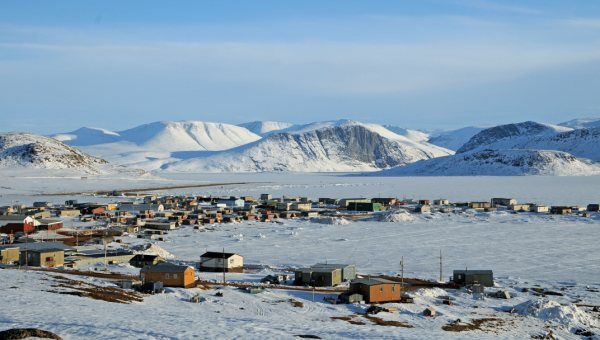 Qikiqtarjuaq. In case you were wondering. - Carolyn retrieves the lemon. - Hercules scared of sheep. The odd thing is, these are all reasonable descriptions of moments in the series. You should have seen Roger Allam chasing those bears last night. Magnificent. Can not wait for the next series. The last one was stunning! Favorite moment has to be the ending of Gdansk though, that was amazing. You are an absolute star. Don't let fame and fans go to your head! You're clearly a sadist, though, what with the Miss Marple and getting Ben to do that ridiculous French accent. ...M'colleague and I hereby put in a request for German next time round. Can't wait for broadcast. Be proud! We are! p.s. Suggest writing Series 4 a bit earlier to reduce stress levels... ;) Relax in the meantime, though! I was unlucky in the ballot for tickets (my Olympic tickets had better come through or I'll be inconsolable) so I'll hope for better luck next time - there *is* going to be a series four, I hope? - and start counting the days until July 1. Congratulations again, John; you must be exhausted but I'm sure your efforts will be very much appreciated by your many fans. The recording yesterday totally made my day. I want to know what Benedict's reaction was when he first got the 'Paris' script. I beg you from the bottom of my heart to please do another series soon. The otter in the fridge was a thing of great beauty as was the Travelling Lemon. Here's hoping for at least 26 episodes! I can't stress how much I loved yesterday :) It was an amazing experience and meeting you/Benedict/Roger was great, thank you for all being so lovely to stay behind afterwards :D My sister and I haven't laughed so much in a long time! Oh, I'm so jealous of you people who have been there! Now I have so many hints that I don't know what to do about them! I'll be waiting impatiently for the 1st July, no doubt! Mr. Finnemore, you don't owe me an e-mail, but you could ;-D But visiting parents should be first, I think. Oh, man. I do hope the shows makes its way onto iTunes quickly. This sounds absolutely wonderful. Yesterday was so completely utterly hilariously brilliant. Hurry up July!! Congratulations John - aaaaaaaaaand relax. It was lovely to meet you afterwards and I can't wait for July! I am so looking forward to the third season, it's going to be brilliant. From the sounds of things there's going to be an episode (or episodes) that I'll love even more than Gdansk, which still makes me laugh hysterically even after the many, many times I've listened to it (I think I could probably recite most of it from memory). I just wish I lived in England instead of Australia and had been able to try and get to a recording. What a fab day in London! I get to see 2.5 episodes of my favourite radio comedy being recorded and then soak up the atmosphere in central London after the Royal Wedding. John you are too modest. Indeed you do have a stellar cast, but your writing is bordering on comical genius. Thanks for a wonderful afternoon. Sorry if I laughed too loud, but how could I not? Highlight of my year (with possible exception of 10th wedding anniversary). I'll be checking Time Out for the advert for series 4. Oh, and thank you for signing my hat! Yesterday was fantastic (I could be daft and say BRILLIANT!) and completely worth the lack of sleep trying to get to London in time. The atmosphere really made the theatre come alive and I'm looking forward to hearing it once it's been produced! Indeed Roger was magnificent and Qikiqtarjuaq is now etched onto my memory forever. but you were all magnificent in fact (just like those men in their flying machine)and the face Ben pulled whilst doing the French accent will be conjured up from my memory when the series is aired. Keep us posted! Well done and thanks for all the entertainment. You are a comic genius, Mr F. We mere mortal (writers)salute you! Fantastic day. The Hitchcock titles were my favourite. Please NO German accent, too many comidians do it/ Nazi references when they run out of ideas as it seems. Any chance for a special with "mishaps"? Anyone wondering where Benedict Cumberbatch gets his talent from should look no further than 70's television shows, such as The Lotus Eaters, where you can see his mother, the wicked and luscious Wanda Ventham, merrily stealing the show. Fantastic recording on Friday, I laughed till I cried! You might also like to know that at my 18th last night my family and I played 'The Travelling Lemon' much to our guest's bewilderment - very very fun! Really pleased we went, can't wait to hear the episodes aired. Well done again! Oli F said: You might also like to know that at my 18th last night my family and I played 'The Travelling Lemon' much to our guest's bewilderment - very very fun! Really can't say how brilliant CP is. Just completely brilliant. I realise I sound like Arthur but that's because it is just brilliant (and because I'm quite like Arthur...). I'll be looking out for tickets for series 4 - how could I have been so dim as not to realise they might be available for the first three series (well, I reiterate that I'm very like Arthur)? I thought lemon tea was made from wetnaps... Is it a lemon wedge for gin? I can't wait to find out. @John: Benedict's German in Sherlock was not too bad. I think Carolyn deserves another triumph over Douglas. But, John, we trust in you! I will have this list next to me as I listen to the new series! I'm so excited for July 1! We went to the recording on Friday and loved it. My favourite bit had to be the end of the game of travelling lemon. Although I got into trouble with my mum for going and laughing too much as I went into premature labour on Saturday! My husband noticed the significance of the titles of the episodes and we spent the train journey home listening to the beginning of all the first two series and the Christmas one and writing them down to see if he was right - although the first two in series two are swapped round in the file I got from Audible. Cannot wait for series 3, I was able to get tickets but because of the Royal Wedding no one wanted to come with me! Sounds like I missed a brilliant show with Ben's French accent! Never mind, I will eagerly await series 4 and maybe a Christmas special this year! Good luck with it in July John, I'm counting down the days! Absolutely fantastic recording on Friday. Roger Allam chasing bears was, indeed, magnificent. As Arthur, you are absolutely adorable. And as yourself, I'm sure. CP is my favourite programme on radio for which a million thanks. Writing and acting the thing - can't be many who can do that so brilliantly. So excited that you were able to round everyone up despite their busy schedules for season 3 - hopefully we'll be able to get it here in Australia soon!